Have you discovered this valuable tool for Cake Decorators yet? 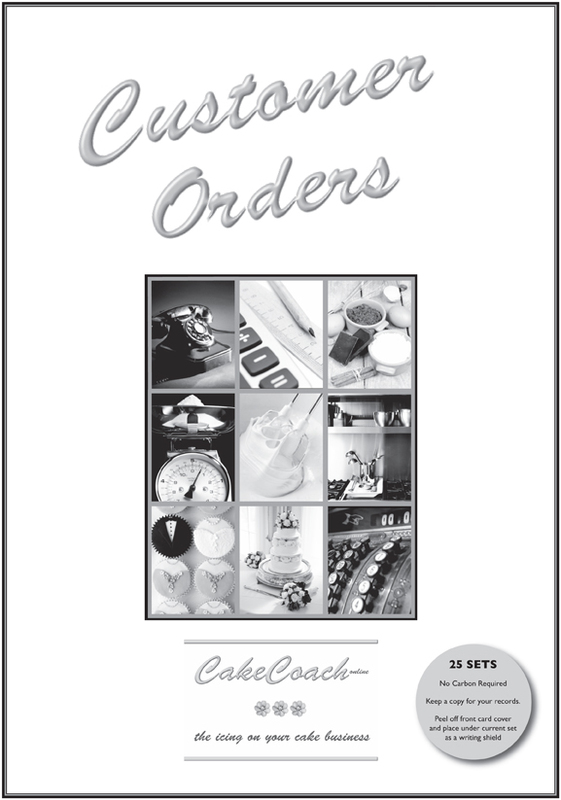 A Customer Order Pad designed by cake decorators for cake decorators! Add your own stamp or business card to personalise. Look professional and beat your local competition who perhaps do not! Scan and email the Customer Order Form for orders which have been telephoned in. as well as pricing and customer approval. An invaluable tool to help busy cake decorators. Simply decide which size pad and order your triple pack NOW! You have a choice of 3 x small - 25 order sets OR 3 x large - 50 order sets. Click on the relevant BUY big red button. BUY - 3 x Pads in one TRIPLE pack. 'Go Large' and order a TRIPLE pack and save some money at the same time. 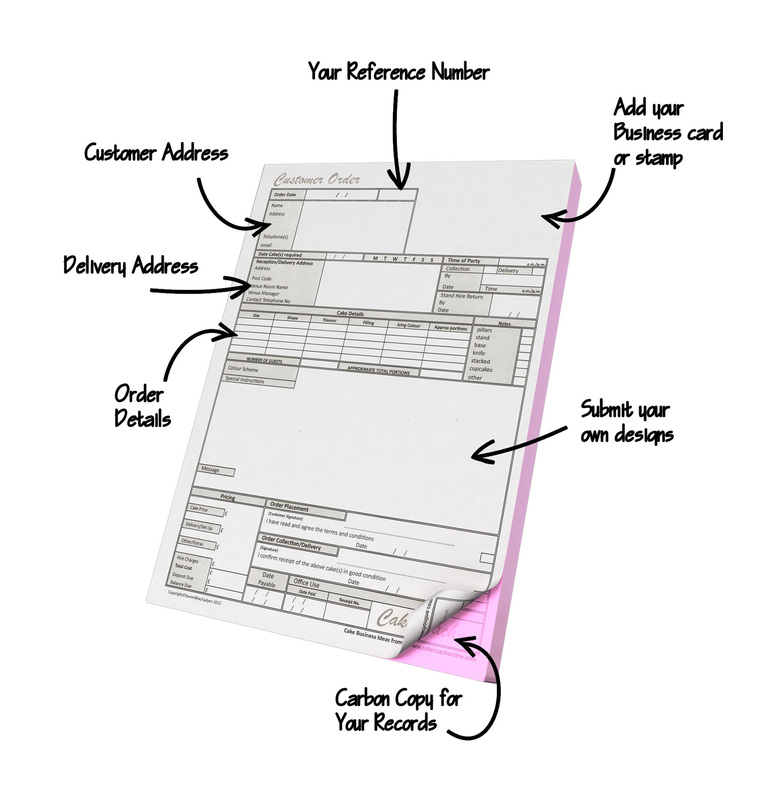 Triple Pack (3) Small Customer Order Pads - packed in 25's - £21.54 + v.a.t. BUY-THREE small pads (25's) £21.54 + v.a.t. 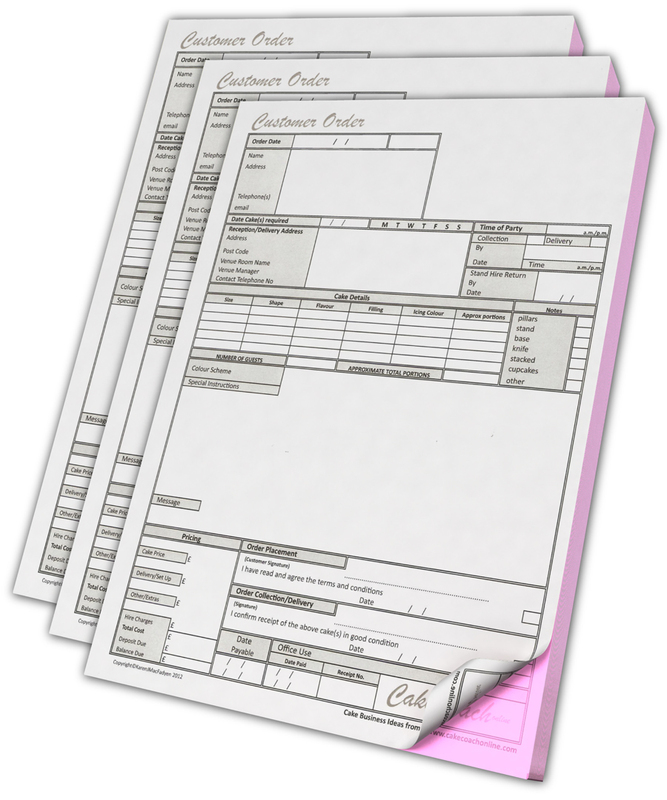 Triple Pack (3) Large Customer Order Pads - packed in 50's - £32.38 + v.a.t. BUY - THREE large pad (50's) £32.38 + v.a.t. *** For large order pads (50's) outside of UK. Postage and packing prices above are for the small (25's) large Triple (50's) pad(s). This will be added to your order - depending upon your delivery details. Please note - that due to recent changes in E.U. law, our prices are shown without v.a.t. Any v.a.t. 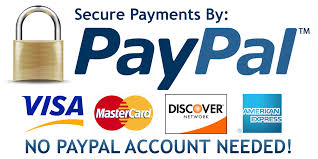 due will be added on to your order, depending upon your location at the time of purchase. "The Order Pads have exceeded my expectations massively!" Just letting you know the pads came today and I must say I am very very happy with them, i'm not quite sure what I was expecting but they have exceeded my expectation massively. "I think they are brilliant"
Have to say I think they’re brilliant, made my life a bit easier!! to return to purchase a single small or large pad.